Connect the power cord from the Apple TV to an AC power outlet. If using a wired connection: Connect an Ethernet cable from the Apple TV to your network router, switch or Internet ready wall jack. If using a wireless connection: Let the Apple TV device power on and follow the prompts to connect to your wireless network with the SSID and password. Take note of the HDMI port on your TV that you connect this device. It may say HDMI 1, HDMI 2, etc. This is the Input you need to set your TV using it's remote. The remote that came with your TV will have an "Input" or "Source" button you can use to switch the input. You must have an Apple ID and an iTunes account to initialize and access the Apple TV App Store. If you haven't set up an Apple ID yet you can visit https://support.apple.com/en-us/HT204316 for a detailed walk through on setting up your account. Turn on your TV and find the input for the Apple TV. Try cycling through the different inputs on your TV if you don't see the Apple TV at first. You can check which input it should be on by checked which port on the back (or side) of your TV the Apple TV is plugged into. Connect your remote by clicking the main Glass Touch surface at the top. 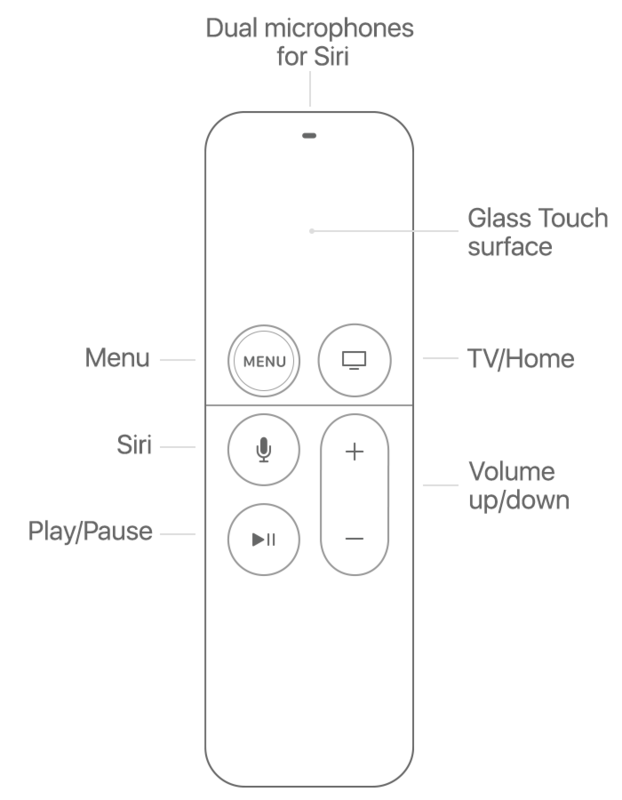 Visit https://support.apple.com/en-us/ht205305 for more information about using your Apple TV remote. Pick your language from the options listed and choose whether to use Siri. Set up using your iOS device. You can choose to sign into the Apple TV by using an iPhone or other iOS device. Follow the onscreen steps on your iOS devices and Apple TV. If you have issues with this process you can press the Menu button on your remote to return to the previous screen and choose "Set Up Manually". At that point you'll just have to log in with your Apple ID and password using the on screen keyboard. Now you're all set to install the EZVideo app. Click here for more help on installing and signing into the app.